The Rotor Transition Program is a transition training pathway to assist military and civilian pilots who possess a helicopter commercial license, with instrument privileges, to translate their skills into becoming airline pilots. This rotor transition program is open to all helicopter pilots who have minimum total flight times of either 750 hours for military and 1500 hours for civilian. This conversion training is designed to assist the transitioning helicopter pilot in bridging the gap from their current FAA ratings to obtain the required 250 hours of Pilot in Command (PIC) flight time and airplane commercial multi-engine and instrument ratings. Our unique Rotor Transition Program (RTP) is now sponsored by our Airlines partners. This means they will finance your training, and you’ll be a career airline pilot the day after your End of Active Service (EAS) date. We can get military helicopter pilots started with pilot training up to six months before EAS. ARE YOU READY TO FLY AGAIN? Coast has built the Back in the Saddle (BITS) rotor transition program to help reset your currency and get you re-transitioned to aviation. Military and civilian helicopter pilots alike can lose the cubicle with our rotor transition training and we can help you navigate the pathway that is right for you! Why Coast Flight Training RTP? We are led by Senior Military Ofﬁcers and understand the requirements for helicopter to ﬁxed-wing professional pilot operations. With the help of our community partners, Coast has coordinated living accommodations with the community to make your experience with us turn-key. As well, our unique RTP-only sites were built to specifically meet the needs of our students. We have large fleets in two separate locations for your convenience, and we’re continuing to grow! Coast has numerous airline partners to choose from when transitioning to an airplane pilot that provide paths to the major airlines. Combined with Coast’s financing plans, we provide the tools necessary to fly for the airline of your choice. With the largest network of airlines that trust coast for their RTP pathways, and a track record of producing the highest caliber professional pilots, for the industries most trusted flight training option look no further than Coast’s rotor transition program. Coast's students have a one of the highest success rates when they report to their type certification training. 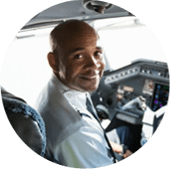 Our expert staff of professionals, coupled with our Certified Flight Instructors, make certain that the training you receive is the best in the country. 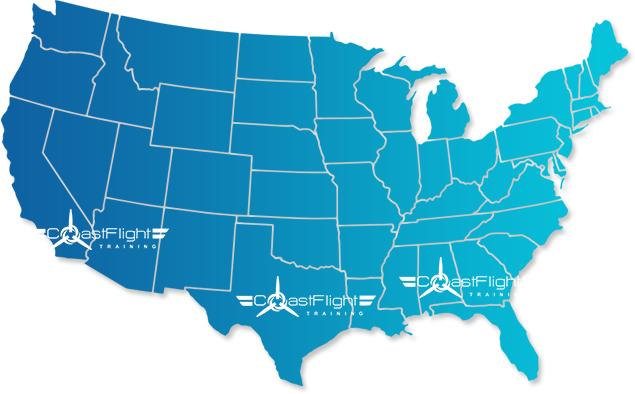 Submit your background to Coast Flight and see if you are a good fit for RTP training. Military Pilots: if you are a military helicopter pilot with 750 hours we can transition you into ﬁxed-wing professional ﬂight in as little as 90 days. Civilian Pilots: if you are a civilian helicopter pilot with 1,500 hours we can transition you into fixed-wing professional flight in as little as 90 days. Customized Pathway: To address each candidate’s formal training requirements, refresher training needs, funding requirements, and logistical/administrative concerns. Civilian Pilots: Coast will develop a training schedule for each student that ensures FAA minimums, and based on historical data, ensures success as they transition from rotor to fixed-wing flying. Financing: Once a training schedule is determined, students can work with Coast and our partners to finance training up to 100% of the rotor transition program. We can finance up to 100%! Get through your training and fly for the airlines in no time! Training timeline: In as little as 90 days you can get through our flight training and go from being a helicopter pilot to a First Officer flying jets. Airline Pathways: Coast has the largest network of partnered airlines for RTP pathways. With the highest caliber training and consistent pilot output - you can trust us to get you through as much as our airline partners do. Envoy Air Inc. is a wholly owned subsidiary of American Airlines Group operating more than 150 aircraft on nearly 1,000 daily flights to more than 150 destinations. Mesa Airlines, Inc. is an American regional airline based in Phoenix, Arizona. It is a FAA Part 121-certificated air carrier operating under United Express. SkyWest is classified as one of the major airlines of the United States and is the largest regional airline in North America when measured by fleet size, number of passengers carried, and number of destinations served. The RTP Pathway that involves the least amount of commitment is the Coast Flight RTP. With loans available and the freedom to do what you want, for some this is the best pathway. 2. What are the program requirements? 3. How do I Apply? When will I interview? 4. What is the length of the flight training with Coast in order to meet R-ATP Requirements? 5. Where will training take place? 6. Can I have an example of a typical week in training? 7. What type of Aircraft is used for training and time building? 8. Does this program provide housing? 9. When will I get benefits with Envoy? 10. Do I need to have a FAA Pilot Certificate?